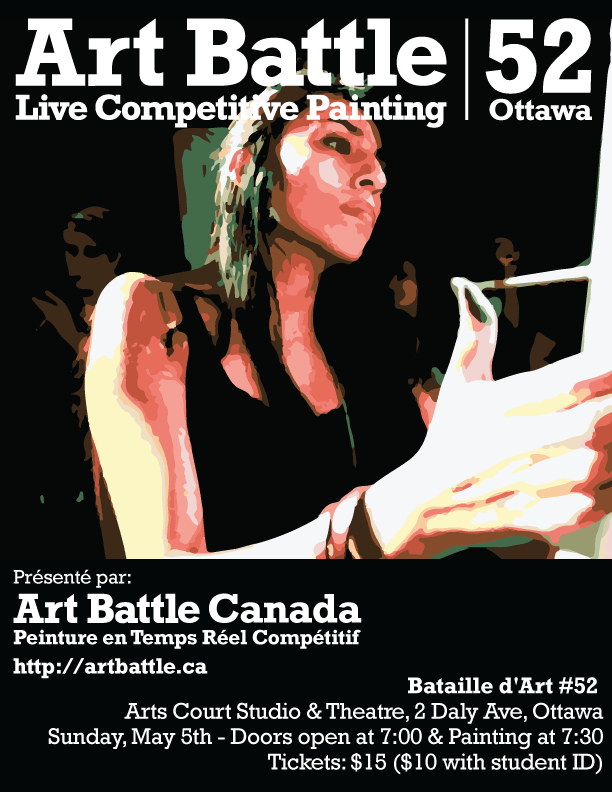 Art Battle Canada is very excited to visit Ottawa on May 5th! We look forward to meeting many of the talented and brave artists who will take the stage and will compete for a cash prize and a spot in The Art Battle National Championships coming up July 23rd in Toronto. This will be a very special event, a fantastic celebration of painting, creativity, courage and community! Art Battle Canada produces monthly events in Toronto, Vancouver, Halifax and we are very excited to be visiting Canada’s capitol for the first time!